Annual Conference 2018: Marseille Calls! An annual highlight in the EUROCLIO calendar is the Annual Conference. On 21-26 April, all are welcome to come to Marseille, France. Our French member association has prepared a very interesting programme to support new knowledge, cross-cultural exchanges and professional development. 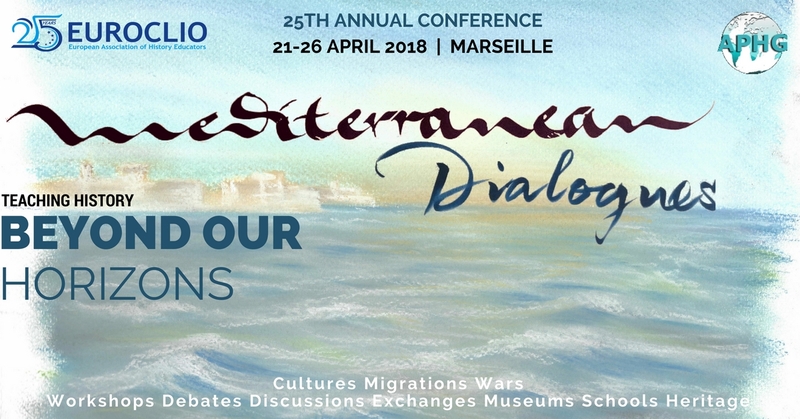 The conference will take place in the Vieux-Port Marseille, the historical port of Marseille, with venues at well-known historical landmarks in Marseille such as Mucem (Museum of European and Mediterranean Civilisations) and Musee d’Histoire de Marseille. On Saturday 21 April, after the welcoming speeches, the programme will feature a key-note lecture by Keith Brown from Arizona State University on “A Micro Global History of the Mediterranean”. Sunday is reserved for on-site learning at interesting locations such as 1) Camp des Milles, a former concentration camp and memorial site 2) Arles, a picturesque medieval city located a few kilometres outside of Marseille. Arles boasts some beautiful and well-preserved treasures from the Roman Empire, like the amphitheatre, and used to be a refuge for impressionist painters like Vincent van Gogh in the late 19th century. 3) Toulon, this small city situated on the Mediterranean coast is one of the most historically important ports of the region, connecting the entire EuroMed region. On Monday several cross-border history education initiatives in the Mediterranean region will be presented and discussed, and on Tuesday the local gymnasium Marseilleveyre will open its doors to us and host breakout sessions on Decolonising Education by Luisa Black (Council of Europe), Culture of Cooperation with History Teaching by John Hamer (Council of Europe) and Europe: Our History by Thomas Serrier and Jakob Vogel and rounds of workshops by partner organizations and participants. On Wednesday there will be plenty of opportunity to explore Marseille and connect with local French teachers, and Thursday we will be wrapping the week up with the 25th General Assembly, discussion groups, world café and of course, the gala dinner to celebrate 25 years of EUROCLIO. There is still time to register, the deadline for registrations is 31st of January. Please do help EUROCLIO by promoting this event amongst colleagues, friends and whoever will be interested in this event! Mucem in Vieux-Port Marseille. 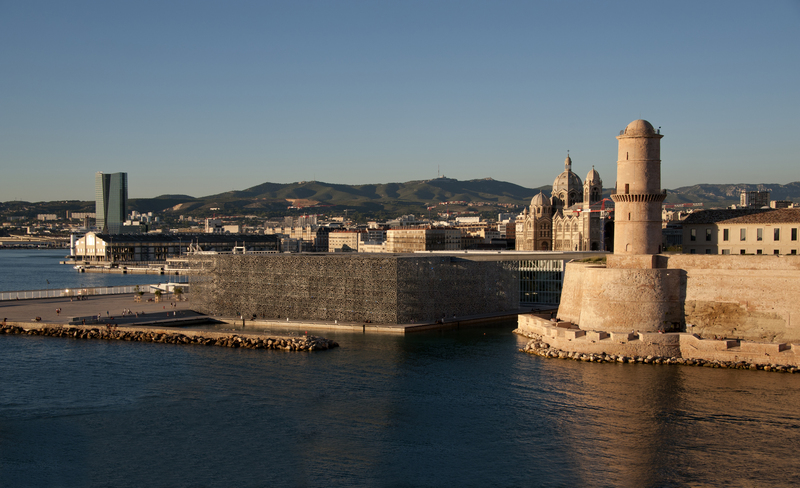 Photo by Lisa Riciotti, provided by Mucem.